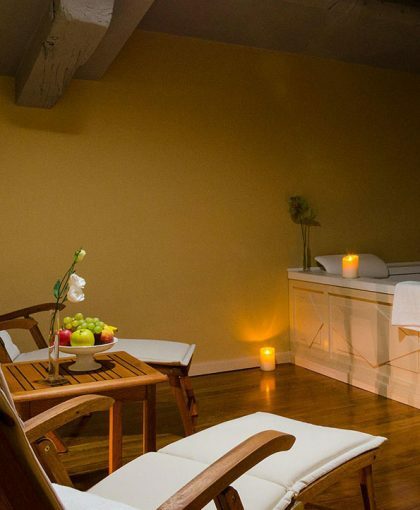 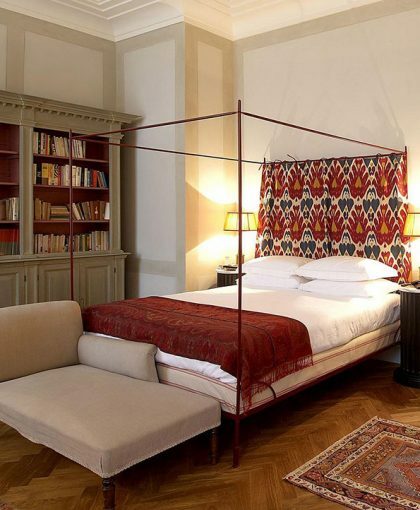 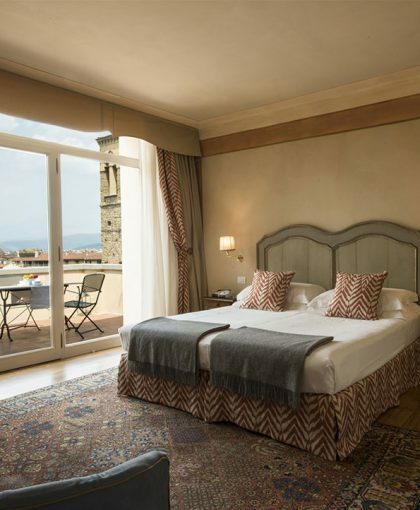 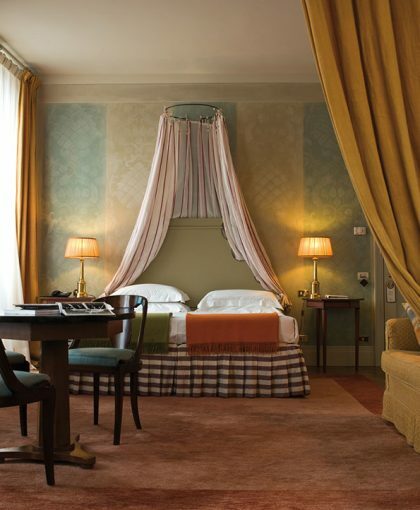 Classic rooms are decorated in a Florentine Renaissance style and feature stunning views over the city’s rooftops, Via Tornabuoni, or internal views of the Palace. 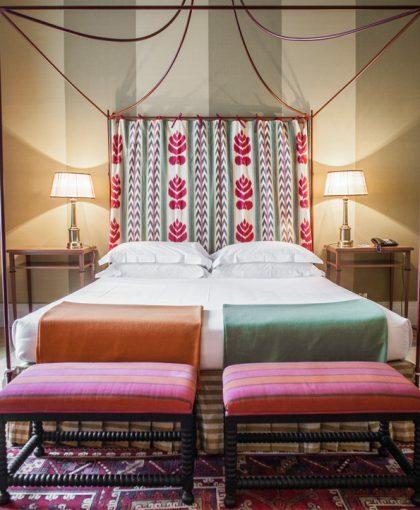 Precious antiques enrich the rooms: wardrobes and fine wood tables and hand-painted headboards made from doors dating back to the seventeenth century. 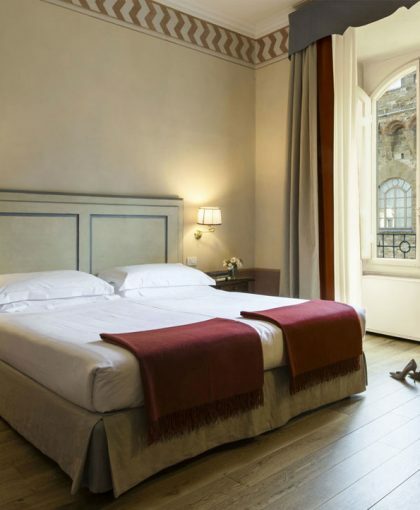 With variable sizes between 15 and 20 square meters, the Classic rooms are available with 2 single beds or 1 double bed, and are equipped with marble bathrooms with bathtub or shower stall, finely decorated closets, hardwood floors, high resolution LCD TV, DVD player, telephone with direct outside access, mini-bar, electronic safe. 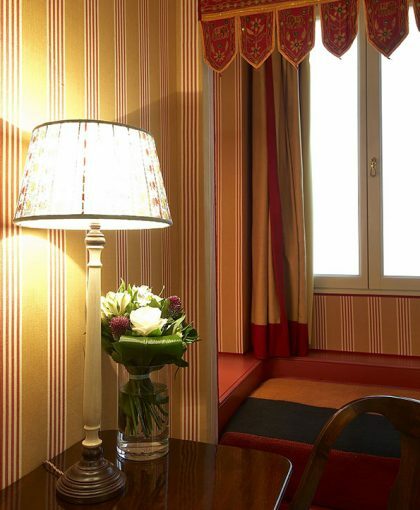 All rooms are heated and air conditioned and offer free Wi-Fi access, shoehorn, slippers, hair dryer. 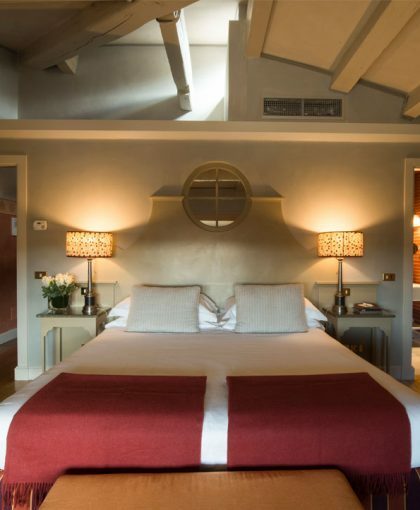 Three of the Classic rooms can be interconnected with a Grand Deluxe room to facilitate residence for families and groups of people.